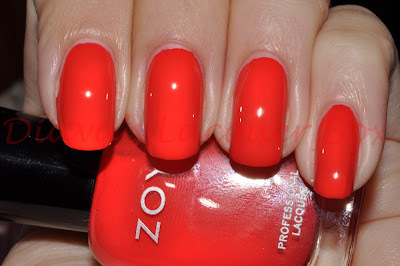 Today I have some swatches of Zoya's Summer Collection for 2010: Flash, I'm very excited about the upcoming summer collections Zoya have just released, and as it will be a little while before I can get my hands on some of those I thought it would be cool to visit their summer offering from last year, packed with bold vibrant Summer Shades. 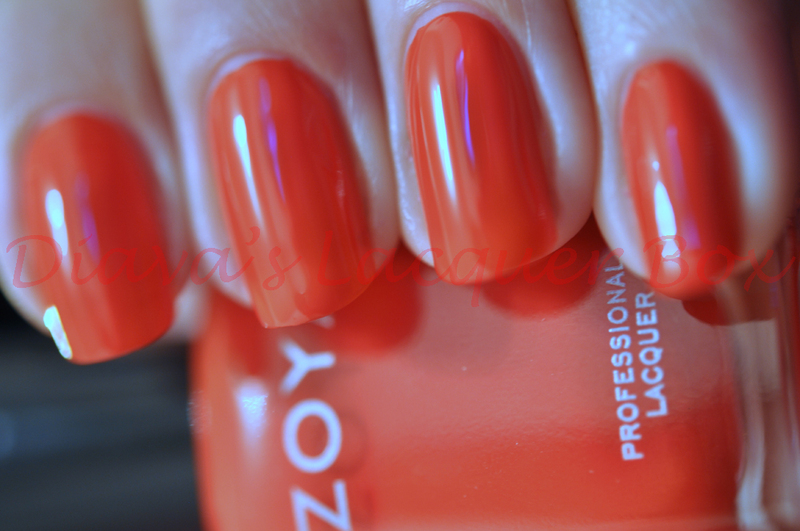 All the polishes in this collection were a little on the thick side compared to the usual Zoya Formula, but this didn't make them too hard to apply, it just meant they reached opacity in 1/2 coats which is always nice. They all dry with a lovely glossy even finish. Perrie is a warm Violet creme polish with pink undertones, it's quite a bit warmer than a lot of the pastel purples out there, and another lovely one for summer, this was opaque at 2 coats, possibly could have got away with 1 but I always apply at least 2 coats of most polishes habitually. I must confess I'm not usually a big fan of orange coloured polish, but I absolutely love Jancyn. 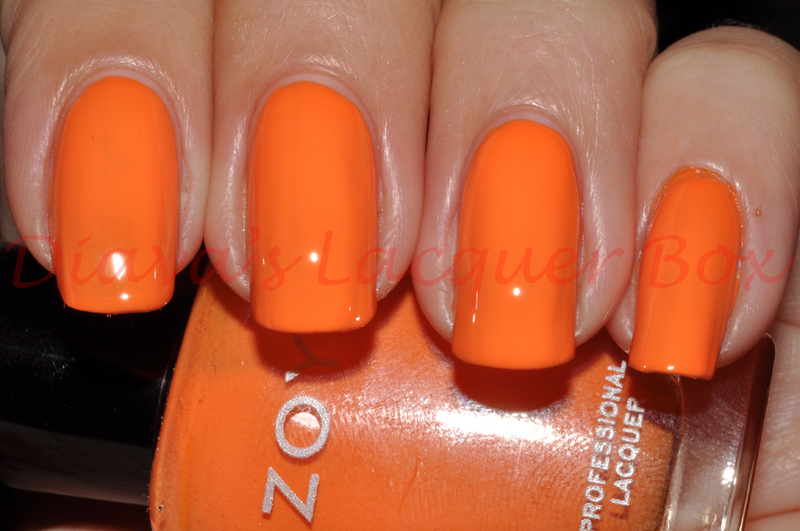 Jancyn is a warm hyper almost neon orange creme shade, and it really stands out on the nails, reminds me of tangerines, definitely an awesome colour for summer, imagine this one would look awesome by the pool with a good tan :D Opaque in 2 coats. Jolene, is the lighter pink creme shade from this collection. It is a cool bright pink creme, and this one could have possibly done with a third coat, although it was more or less opaque at 2. Dana is the darker pink shade in this collection, and like Joelene this one is a vibrant cool pink, just darker. This was 2 coats, and looking at the photos I do detect a tiny bit of VNL, so possibly a third may have resolved this, but I'm sure the camera brings out the VNL more than it was actually apparent in real life. Mac Obey Me is a little on the darker side of these three.